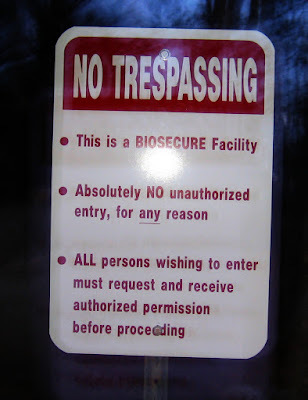 Rural Revolution: No trespassing, y'hear? An online friend living in Maine sent this (photo taken through a car window, so not the clearest). I thought it was too funny not to share. She writes: "This is our new welcome sign. it means that we have no infectious animals, but let the average idiot figure it out. The wording scares the hell out of the people. Rich [her husband] painted an orange biohazard sign complete with biohazard symbol for future use if the world collapses. It goes on the closed gait and should deter any trespassers." I have a sign at the street that reads "INVITED GUESTS ONLY". My neighbor has one that reads "TRESPASSORS will be met with armed aggression" Neither do any good.SO I am going order one just like this one see how it works. 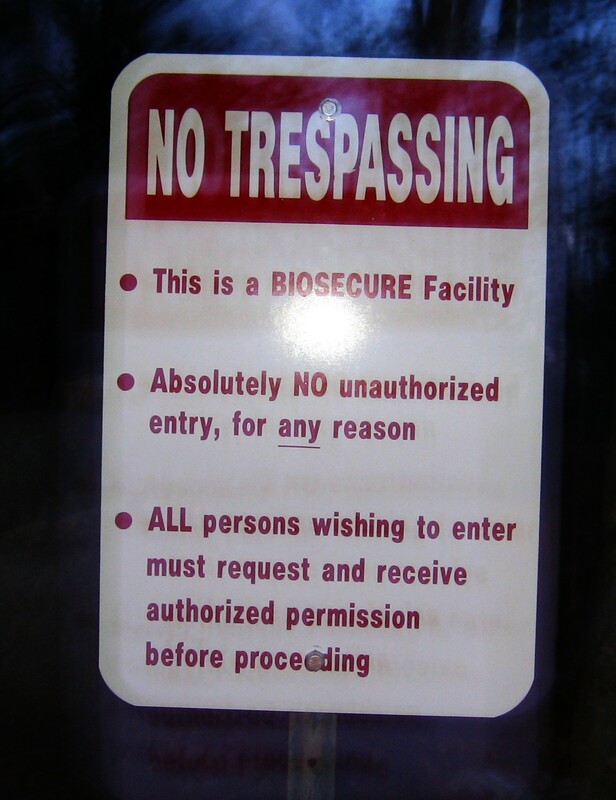 I have thought before that in a pandemic situation I would put quarantine placards on the property. After all, the word quarantine works both directions, for those going in and those going out. Now I think I will fancy up the wording like your friend, to confuse those who would argue with it or ignore it. What exactly is a "closed gait" anyway? LOL. This is my sign. I purchased it from this man who I believe came up with these signs. Awesome sign that works for most people except extreme idiots. Our sign is biblically correct. I had friends at the state road maintenance crew make me one b4 I retired. "Warning: Illegal trespassers will be shot. There is nothing here worth risking your life over".